Joshua Bates is a data scientist who specializes in the research of public and proprietary data, empirical studies, data cleaning and statistical analysis. He is a 2011 graduate of Ashland University where he studied Economics and Political Science. He has a working knowledge of Spanish from studying in Costa Rica and is an amateur photographer. 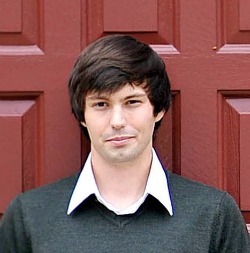 Joshua is co-founder of Paradigm Analysis, a statistical software company founded in January 2012. He designed the software that the company is currently developing to simplify data analysis.